This is book three of a super cool series by Kate Hewitt. Even though you can read them as standalones, they’re each so good that I think you should read them all! I thought I wouldn’t like cool, haughty, richy-rich Harriet with the snotty daughter, but I did! 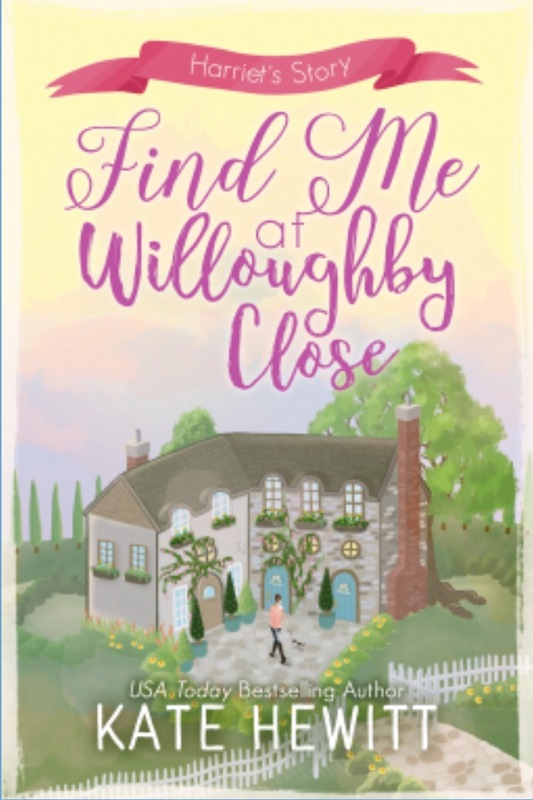 Harriet fit herself right in to Willoughby Close, despite her own discomfort, for the good of her children. She made some missteps, screwed up a few things marriage-wise, and was more materialistic than I could stomach … but Harriet redeemed herself by showing heart and diving in to a journey of self-discovery and development. I so enjoyed Harriet’s adventures with her children, the elderly neighbor, and the family next door. I also appreciated Harriet’s time spent alone – where Hewitt showed the reader quite clearly Harriet’s struggles and growth. Who knew I would come to love Harriet so much? And that after she changed she would be loved just as dearly by her family and new friends. I can’t say enough about Hewitt’s masterful development of characters. Applause from me for writing light stories with meaningful messages and big heart. Here’s the link to my reviews of all the books I’ve read by Kate Hewitt.